A strong smoky bourbon component doesn't quite mesh well with what is an otherwise nicely layered sauce. "You are not a Yankee! You are such a Southern boy!" That's what owner Rich Robertson's best friend's mother—a Long Island native—used to exclaim to him. 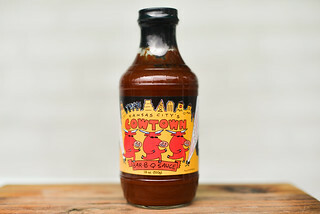 From that, Rich adopted the name Knota Yankee for his line of barbecue sauces that come from family recipes passed down through generations. 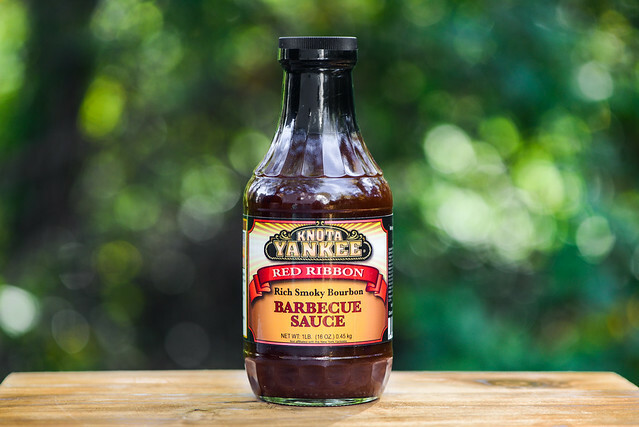 Knota Yankee, which is based in Raleigh, NC, focuses their line of sauces on preservative free, quality ingredients to deliver the best flavors possible. 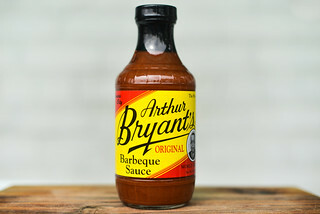 An equal pairing of sweet and spicy are the first defining elements in the aroma of this sauce. On top of that, there's a dominant liquid smoke component that creates a harshness that cancels out a bit of the sweetness. Sitting beyond those three upfront aromas, but still well defined, are onion and Bourbon followed by mellow hints of Worcestershire and heat in the background. 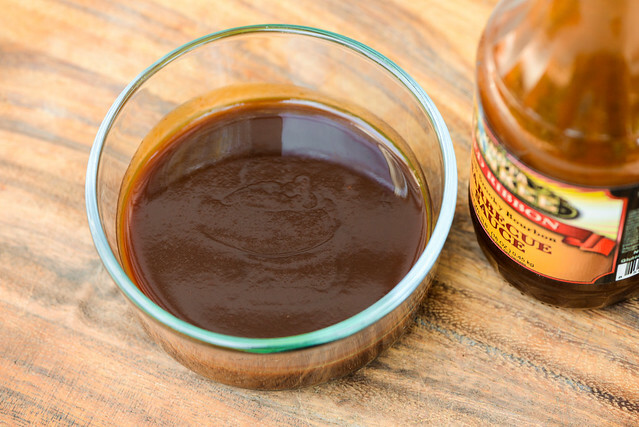 This reddish-brown sauce is opaque with a smooth texture. Its thickness is just a notch below medium and it falls in a quick and steady stream off of a suspended spoon. The sauce then slows, releases a few final drips, and leaves a medium coating clinging to the silverware, in which you can see some specs of red pepper. There's a strong bourbon flavor that's matched pretty equally with ketchup and sugar on first taste. These three elements persist through the progression of the rest of the flavors that has onion coming in next, followed by a Worcestershire depth backed up with molasses. Then the smokiness hits, but it stays a background component as opposed to its more prominent role in the aroma. Finally, the vinegar hits and creates a balance for the sugars, leaving the final aftertaste sweet and tangy with a smoky bourbon flavor. The sauce coated the chicken in a thin, even layer that built up well over multiple brushing, despite a little burn off over indirect heat. When moved to direct heat though, a lot of sauce was consumed by the fire, requiring an extra brushing at the end to get the sauce layer back to where it was. The sweet, smoky bourbon flavor remained upfront after being cooked. The vinegar, which provided some contrast out of the jar, was almost completely lossed, and there was no heat to speak of. I've never quit been impressed with a bourbon sauce, and Knota Yankee hasn't changed my opinion. If you read the words "bourbon" on a label, you want to taste bourbon, and I feel like that's where the downfall begins. 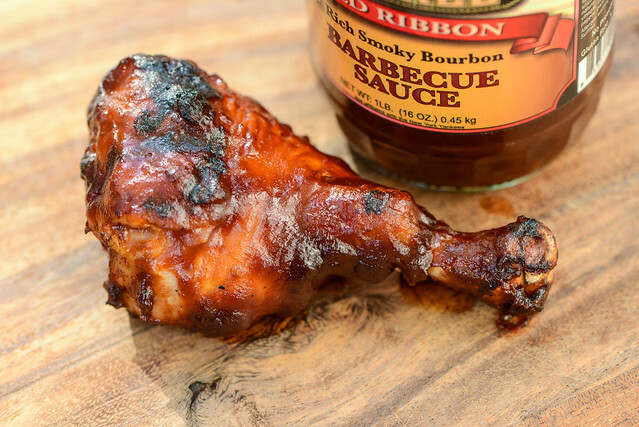 I personally find bourbon a too overpowering flavor that doesn't meld particularly well with sweet and tangy barbecue sauce—it always tastes a bit off in my opinion. Because of this, I think Knota Yankee Rich Smoky Bourbon gave my chicken an odd flavor that wasn't as satisfying as a normal tomato-based sauce. 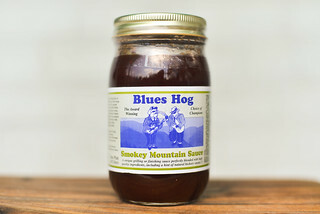 I feel this sauce would be better suited for more heavily rubbed or flavored items like ribs or brisket, where the sauce is just one component of larger whole, rather than carrying all the weight itself.